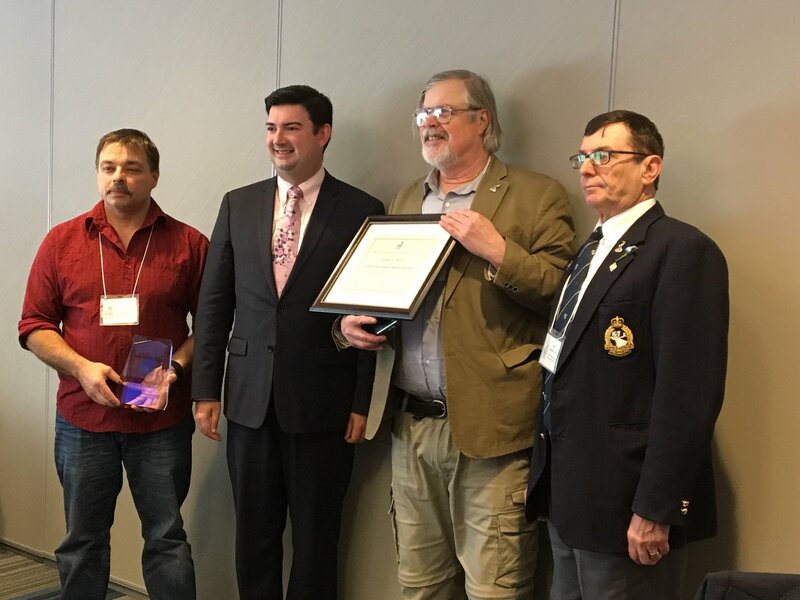 The Royal Newfoundland Regiment Museum has been presented with the annual Award of Merit for 2018 by the Museum Association of Newfoundland and Labrador (MANL) at their annual conference and AGM held this weekend in St. John’s. The Award was presented by Hon. 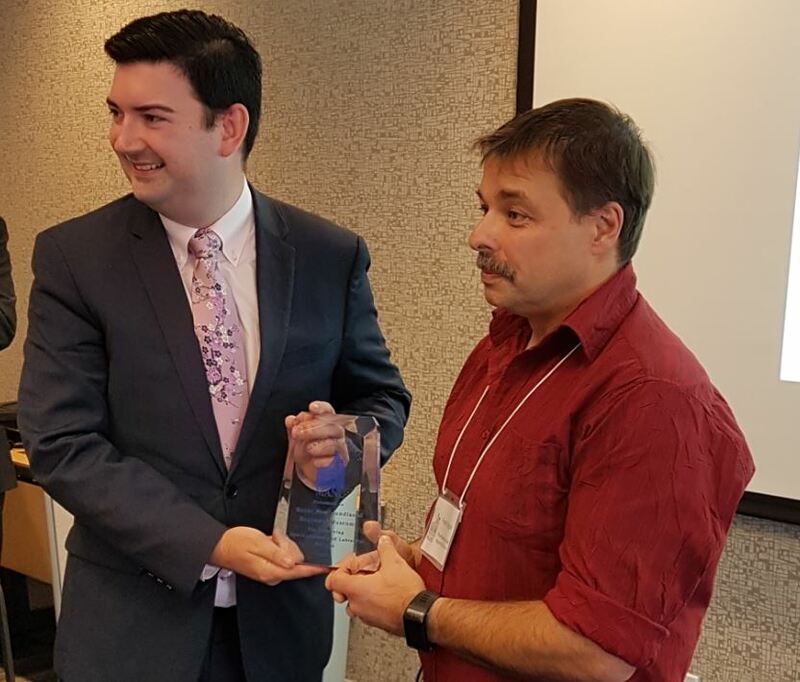 Christopher Mitchelmore, Minister of Tourism, Culture, Industry and Innovation on behalf of MANL. 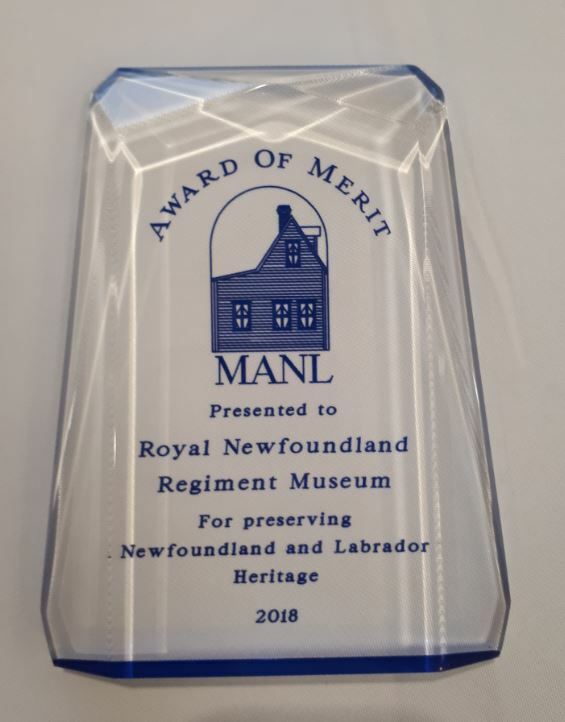 This could not have been possible without the fantastic and talented committee who are dedicated to preserve, interpret, and promote the 223 year history of The Royal Newfoundland Regiment. We are grateful for the financial support of our patrons, especially Susan Patten of the Harvey Family Foundation whose funding has been key to our success. Elinor Gill-Ratcliffe also has supported us generously. We will continue to work hard and lead the way, that we hope, will make every member, former member, and the public of Newfoundland and Labrador proud of “OURS!” — The Royal Newfoundland Regiment!